There are a number of reasons why it makes sense to improve your home’s air conditioning efficiency. From lowering energy consumption to improving the air condition unit’s life, the financial benefits of improving cooling efficiency make it well worth the effort. We all know how big a role proper insulation plays in heating and cooling efficiency. Here’s 5 other ways you can improve air conditioning efficiency in the house. One way to ensure that the air conditioner functions efficiently is to carry out regular maintenance. Although you do need to hire a professional to service the air conditioning unit, there are a number of simple things you can do to keep your air conditioner functioning at peak efficiency. For starters, make sure that the air conditioner housing is clean. Remove any leaves or debris that may be clogging up the housing vents. Also, try to ensure that the housing is not in direct sunlight; if you cannot find a good place for it away from direct sunlight, you can install a cover that will shade it. The air filter’s job is to ensure that the air inside your house is devoid of any dust or harmful allergens. Over time, the air filters gets dirty and all the particles they trap start hampering the flow of air. 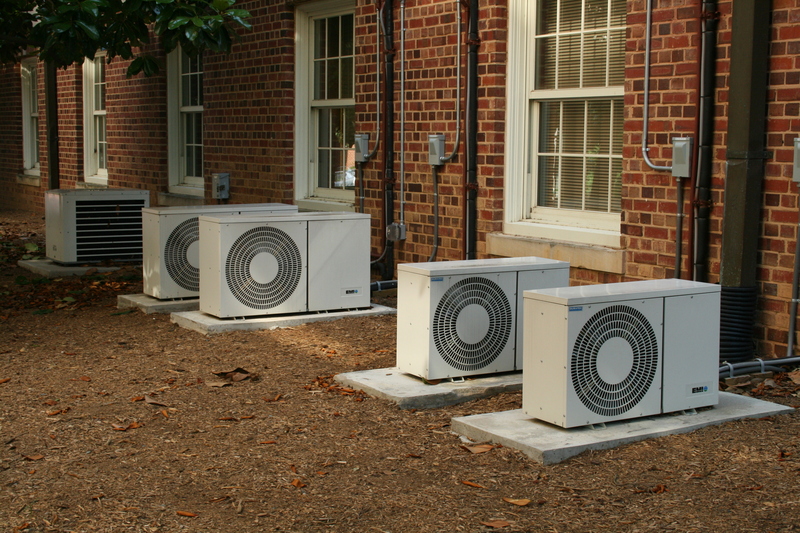 In order to maintain a constant flow of air, the air conditioner’s compressor has to work overtime. Not only does it reduce the efficiency of the air conditioning system, but can also cause equipment damage. Make sure that the air filters are cleaned or replaced periodically so that it does not hinder air flow and circulation. Not many homeowners know this very handy fact: a well-ventilated attic actually helps improve air conditioning efficiency and keeps the other rooms in the house cooler. Research has shown that a house with a ventilated attic can be as much as 10 degrees cooler than a house with a stuffy attic. Opening a window and using a simple box fan ventilates the attic and helps reduce the overall work the air conditioning unit has to do. There is little point in having the air conditioner running at all times if there is very little done to keep direct sunlight out. While most of us do appreciate natural lighting in the house, direct sunlight causes havoc with the temperature in the room and forces the air conditioning unit to compensate. Using curtains or blinds to keep out direct sunlight is a great way to provide temperature control, while also bolstering the style quotient of the room. A programmable thermostat is one of the best investments you will ever make. At night or when no one is at home during the day, the air conditioner can be set to a higher temperature. This means that the air conditioning unit doesn’t have to keep going at full steam at all times, even one proper cooling is not required. A programmable thermostat will allow you to set the desired temperature and time beforehand, allowing it to automatically regulate the air conditioning controls.